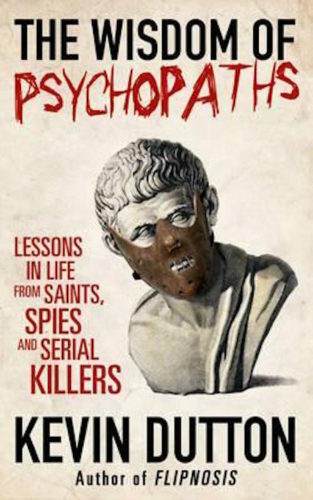 The Context of White Supremacy hosts the second study session on Kevin Dutton’s The Wisdom of Psychopaths: Lessons in Life from Saints, Spies and Serial Killers. A research psychologist at the Department of Experimental Psychology at the University of Oxford, Dutton’s primary research interests are persuasion and social influence, and the psychopathic personality. He is a White man born in the United Kingdom. During a previous visit to The C.O.W.S., Dr. Niyana Rasayon highly recommended that C.O.W.S. listeners study this book for an accurate understanding of what it means to be classified as White. Last week’s session traced the history of European study of human personality. Dutton belabored the lack of consensus about the defining characteristics of psychopathy. He explains how some think criminal behavior is the threshold for identifying psychopaths, but this ignores that many Whites are able to avoid prosecution or suspicion for their dastardly acts. Dutton continued the pattern of omitting the racist conduct and beliefs of White subjects in his book like Benjamin Rush, who promoted abolition even though he thought black people were subhuman and stinky. Interestingly, Dutton also noted that all of the first forty-one presidents were all evaluated to be psychopaths; Bill Clinton and John F. Kennedy scored especially high on psychopath scale. Previous Previous post: Video: Colin Kaepernick To Receive S.I. Muhammad Ali Legacy Award! + A Nicole’s View Giveaway!